FC Barcelona's packed December schedule continues this Sunday (8:45pm CET) with a journey south to play European aspirants Villarreal CF, at a ground where they are unbeaten in a decade. The LaLiga leaders dropped points last time out with a 2-2 draw against CeltaVigo, but remain five points clear of nearest rivals Valencia at the top of the table. Centre back Samuel Umtiti picked up an injury in the draw against Celta, and has so far been replaced by Thomas Vermaelen both in that game and in the Champions League win against Sporting Clube de Portugal. Andrés Iniesta, Ousmane Dembélé, Rafinha and Javier Mascherano are also unfit and Arda Turan and Gerard Deulofeu were left out of a list of 18 players that reads as follows: Ter Stegen, Cillessen, Semedo, Piqué, Rakitic, Sergio, Denis, Suárez, Messi, Paulinho, Alcácer, J. Alba, Digne, S. Roberto, André Gomes, Aleix Vidal, Vermaelen and David Costas (39). Like Barça, Villarreal also rested players in their midweek European encounter, but whilst some regular starters will likely return to the first XI, they will be without Andrés Fernández, Denis Cheryshev and Nicola Sansone through injury. Villarreal coach Javi Calleja has also had to wait on the fitness of Carlos Bacca, Ruben Semedo, Samu Castillejo and Bruno Soriano. His counterpart Javi Calleja, who replaced Fran Escribá as Villarreal coach in late-September and has turned a struggling side around, opined that his team would have to "look for long possessions...But there will also be times when we'll need to protect ourselves. Barça is defending very well and when they have the ball they are still just as dangerous. They creat scoring chances out of nothing." 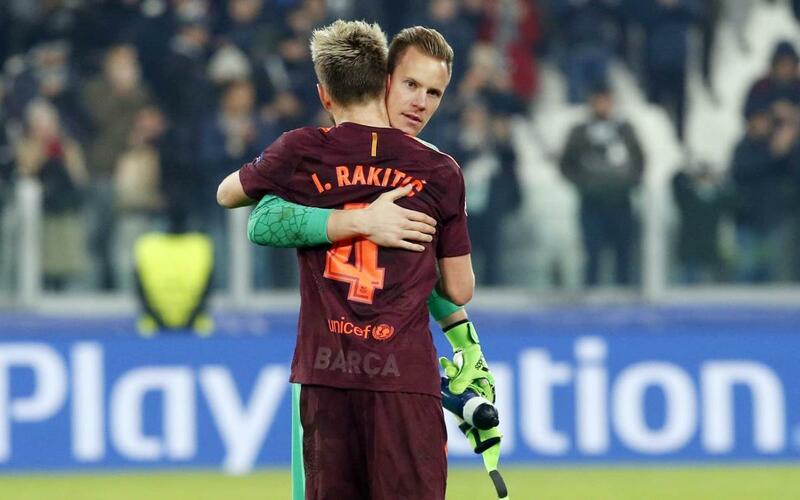 Despite the stumble against Celta at the Camp Nou, Barça remain unbeaten in La Liga this season. Coupled with the 1-1 result the previous matchday against Valencia, it is the first time since November 2016 that the Catalan club have recorded consecutive league draws. However, the Blaugrana have alternated those results with two midweek home wins: 5-0 against Real Murcia in the Copa del Rey, and a 2-0 triumph against Sporting Clube de Portugal in the Champions League. Villarreal have won just one of their last five LaLiga fixtures, and have not tasted victory in the competition in three games. Following a draw against Athletic Club, the Yellow Submarine have lost to Sevilla and Leganés. They were also on the losing end of a 0-1 result at the Estadio de la Cerámica this past Thursday, against Maccabi Tel Aviv in the Europa League. The Estadio de la Cerámica (previously El Madrigal, and which was renamed ahead of Barça's visit to Castellón last season) has provided some memorable games between the two clubs in recent years. The last decade has seen Villarreal unable to win against FC Barcelona at home: 20 November 2007 was the last time the Yellow Submarine bested the Blaugrana in front of their fans. In LaLiga encounters, Barça are unbeaten in 16 games against Villarreal -a run stretching back to 2008. The last two trips to Villarreal for FC Barcelona ended in draws, including a controversial 1-1 draw in 2016/17. Lionel Messi scored an equaliser in the final minute, but Barça had two penalty appeals that could have changed the game waved away. The most recent meeting between the two sides took place in March at the Camp Nou, ending in a 4-1 home victory with Neymar, Messi (x2) and Luis Suárez all on the scoresheet. No matter where you are in the world we have you covered. You can also listen to live English commentary on Radio Barça, as well as follow our minute-by-minute updates on FC Barcelona's official English language Twitter account.